myself to something nice, enjoying my existence. 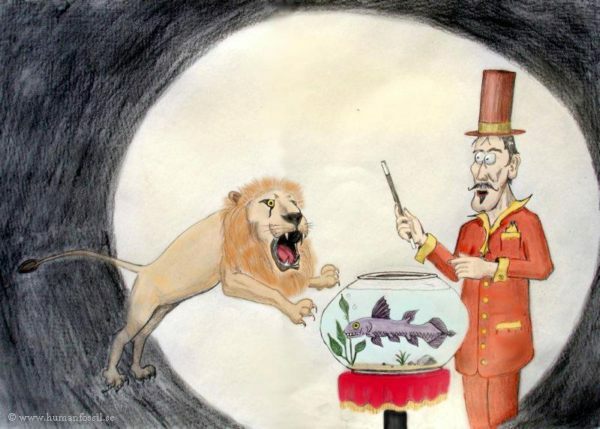 yourself in this lovely situation? 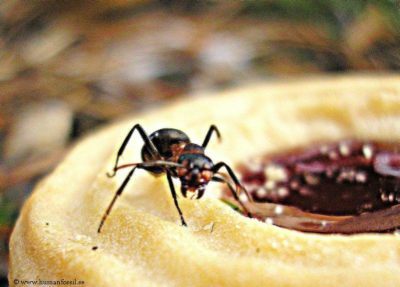 and as if this isn't enough there are ants all over my sweets. 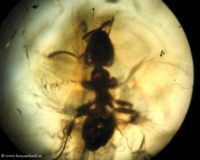 Why do the mosquitoes eating away on my poor body, and the ants on my cookies still look the same as in millions of years old amber? 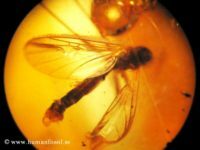 Not only insects have been found in amber, but also frogs, lizards, bird feathers, bones from mammals and hair have been preserved in this stone. or maybe it's the evolution that has? “Devonian”, that is 390 million of years ago, long before the evolvement of dinosaurs and other living creatures. Imaginative animations and illustrations of how the Coelacanth is supposed to gradually have developed lungs and legs through million of years, and then turned into different kinds of land-living species, appear in text-books,on wildlife programmes and in museums. 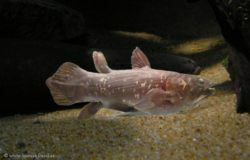 Already in 1938 living specimens of this fish,supposedly ”extinct” for 65 million years, were found in South Africa. transformation in a conjuring trick, you wouldn't wonder how the conjurer did his trick but rather about the trick itself! Just imagining someone being so generous to me for a change as I'm being to these sweet indulging ants! 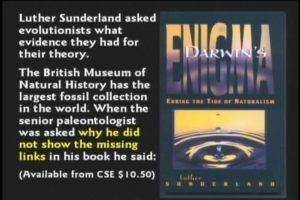 This only appears to be happening in a made up world, since no fossilized or living inter-species varieties have ever been discovered. 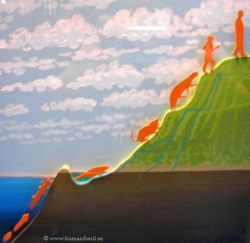 The illustration above shows that all living things were from the very beginning created out of dead substance. 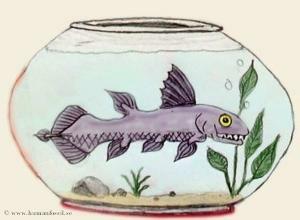 For, how many species are there in the line between Coelacanth and human? 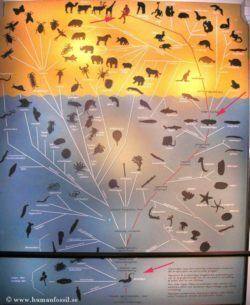 How many transitional species are there on the entire line and how many of them are alive today? Are some species immune to continuous mutations? If this isn´t the case, why do they still look the same as millions of years ago? 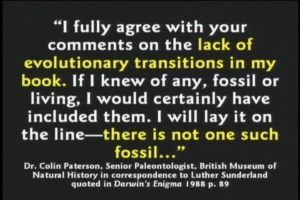 The list of so called living fossils is long and is constantly growing. already after two or three days. 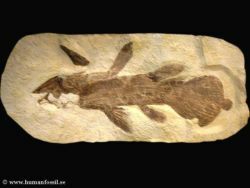 How many generations of flies are there in a generation of Coelacanths? 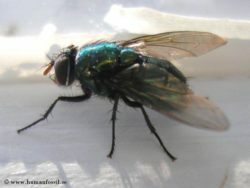 horses, humans, birds and so on, what couldn't a fly turn into during 50 million years? 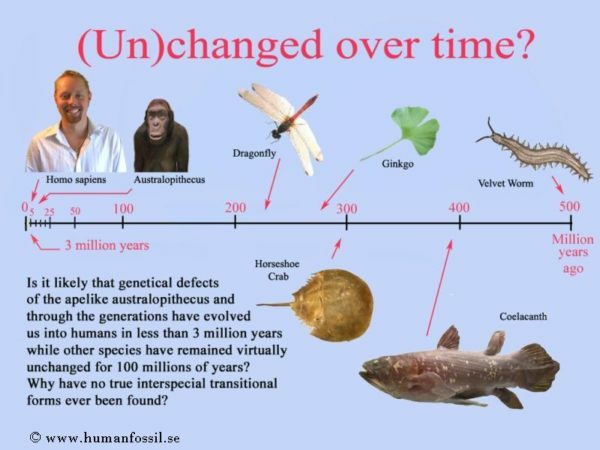 Wouldn’t that ”evolution” have gone by even faster?